Peter J Leithart's "The Baptized Body" is a fascinating read. Coming from the controversial "Federal Vision" movement, Leithart seeks to infuse a high sacramental theology into Reformed Christianity. His argument comes primarily through exegesis, though with a strong dose of Calvin references. Leithart argues that contemporary Reformed Christianity has deviated from both the Biblical and Calvin's understanding of baptism. There are three main points that Leithart attempts to demonstrate in this text: "Baptism" is Baptism, "The Body of Christ" is the Body of Christ, and Apostasy Happens. Leithart argues that all of the references to baptism in the New Testament are references to actual water baptism. Arguments to the contrary are groundless. They necessitate an arbitrary distinction between "water baptism" and "spirit baptism" which is absent from the text. Others argue for such a union between sign and signified that one can refer to the "sign" while intending that which is signified as the referent. As Leithart rightly points out, this approach is unwarranted and becomes an easy escape for any who deny sacramental efficacy to argue that any text about the effect of baptism is just playing word games and doesn't mean what it says. Especially illuminating and provocative is Leithart's argument that baptism is not a sign, nor is it a means of grace. Rather, it is a rite. The second argument of Leithart is that the "body of Christ" is the body of Christ. In this chapter, Leithart proposes that the internal/external approach to the New Covenant and the visible/invisible church distinction are not valid Biblical categories. The phrase "body of Christ" is a reference to all who are in the corporate social community of the church. Thus, Leithart proposes that a better distinction would be between the historical and eschatological church. Though all in the visible community partake of Christ in some manner, not all of these people will share in the eschatological kingdom due to lack of faith. Finally, Leithart argues that apostasy happens. In contradiction to the commonly understood definition of the Perseverance of the Saints, Leithart argues that one can have a true relationship with Christ and subsequently be cut off. He convincingly demonstrates that typical Calvinistic interpretations of falling away passages are unconvincing. Leithart does not, however, abandon the concept of predestination. According to Leithart, God does predestine the elect unto salvation and even predestines the apostasy of those who fall away. 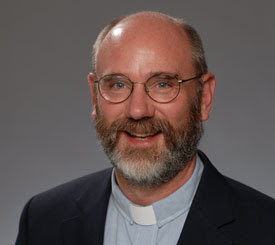 Being a Lutheran myself, I had minor disagreements with Leithart's presentation; namely his insistence on double predestination and adoption of certain New Perspective on Paul views that I find unpersuasive. That being said, this is one of the best presentations of the doctrine of baptism I have read. Even if one disagrees, this book will cause one to think further through the issues and challenge common assumptions. It was an interesting book. I reviewed it for LOGIA a while back. Leithart is the opposite of you. He grew up Lutheran and became Reformed. Many Reformed folks I've talk to think he's still too Lutheran in regard to the sacraments. Leithart has not been popular amongst the strict Presyberians. His sacramental theology is often labelled as heresy; but Lutheran sacramental theology isn't. I'm not sure why that is. For the Federal Visionist, baptism and all other acts of obedience factor into their definition of faith, which is how we (not Christ for us) "keep the covenant." I haven't read enough from the Federal Vision perspective to understand exactly what is meant by "keeping the covenant" but it seems that they take N.T. Wright's view of covenantal obedience as necessary to maintain covenant membership and to gain eschatological justification. I have huge issues with this. I remember Rich Lusk giving a detailed criticism of the Law/Gospel distinction a few years back which was very troubling. Now if one could combine the liturgical and sacramental awareness of the Federal Vision with the Law and Gospel emphasis of theologians at Westminster West, then that would be a respectable theological position as far as Reformed Theology goes. Through belief, the Christian receives the benefits of Christ's covenant-keeping. Faith does not function as a condition (i.e. a new law) to be kept by the sinner. "Faith does not function as a condition (i.e. a new law) to be kept by the sinner." Then how do you understand the biblical warnings against apostasy if belief is not required of the believer? Faith is indeed the gift of God not a work of man so that none should boast but are you trying to say it does not need to be present in the believer? (Heb 11:6) But without faith it is impossible to please him: for he that cometh to God must believe that he is, and that he is a rewarder of them that diligently seek him.